Aquatic invertebrates of groundwater-dependent wetlands can be sensitive to a drop in the groundwater table, which is considered one of the possible impacts of climate change. 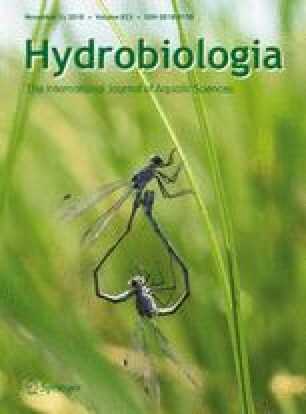 We investigated whether aquatic clitellate species are able to dwell in waterlogged substrates without surface water, in 27 spring fens studied across the Western Carpathians. A total of 78 clitellate species were recorded in pairs of samples from aquatic and semi-aquatic habitats. Semi-aquatic habitats had 27 species in common with aquatic habitats, but algal and fungal feeders were less frequent and abundant, and predatory leeches and Haplotaxis gordioides completely lacking. Terrestrial enchytraeid species enriched the semi-aquatic assemblages. The main change in clitellate composition was controlled by total organic carbon. The importance of further variables, however, differed between aquatic and semi-aquatic sites. Further analyses of semi-aquatic sites showed that the distribution of primarily aquatic species was mainly driven by physical and chemical variables, while that of soil dwellers was driven by depth. Except Tubifex tubifex and Nais communis, all aquatic species preferred the uppermost layer. Results indicate that, during extreme droughts, when aquatic habitats cease to exist, some aquatic clitellates can persist in the waterlogged substrate, while some aquatic specialists may face the risk of local extinction. We would like to thank Vít Syrovátka and Marek Polášek for their help with the visualization of the results, and Ondřej Hájek for the preparation of the map. The study was supported by research grants of the Czech Science Foundation (GA15-15548S and GA16-03881S) and by the institutional support of the Masaryk University for PhD students. ESRI, 2003. ArcGIS 8.3. Environmental Systems Research Institute, Redlands, CA, USA, http://www.esri.com. Oksanen, J., F. G. Blanchet, M. Friendly, R. Kindt, P. Legendre, D. McGlinn, P. R. Minchin, R. B. O’Hara, G. L. Simpson, P. Solymos, M. Henry, H. Stevens, E. Szoecs & H. Wagner, 2017. vegan: Community ecology package. 2013. R-package version 2.4–3. Available at: http://CRAN.R-project.org/package=vegan. R Development Core Team, 2015. R: A Language and Environment for Statistical Computing. R Foundation for Statistical Computing, Vienna, Austria. https://www.R-project.org/. Vu, V. Q., 2011. Ggbiplot: a ggplot2 based biplot. R Package. Version: 0.55. Available at: https://github.com/vqv/ggbiplot.